Google Maps can easily show you top tier restaurants with a few strokes on a smartphone, but it still struggles to pinpoint the location of Hanoi street food vendors. Hanoi’s small stands rarely have a specific address or really, any desgination at all. They are located in unsuspecting alleys, hidden within unpopular parks, or spotted somewhere between modern stores and busy streets. Often times, the stall is only called by the name of the owner or by the name of the road it’s on. 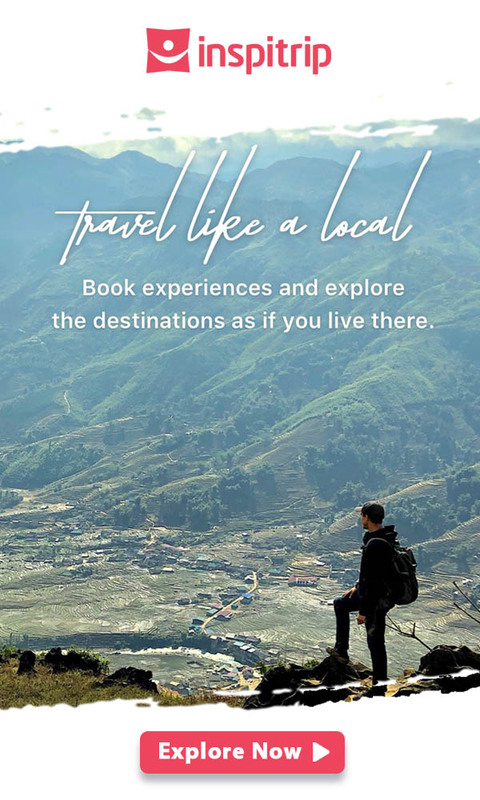 There is only one human-based “app”, called Inspitrip’s insiders, that can lead you through every lane, alley, or street corner to enjoy the best street food in the city. Xoi xeo Hang Bai is a humble stall on the corner of Hang Bai and Ly Thuong Kiet. Established in 1993, Mrs. May has perfecting her craft for 24 years. There are three types of Xoi: Xoi xeo (Sticky rice mixed with cooked, milled green bean), Xoi ngo (sticky rice with corn and mung bean) and Xoi lac (Sticky rice steamed with peanut). 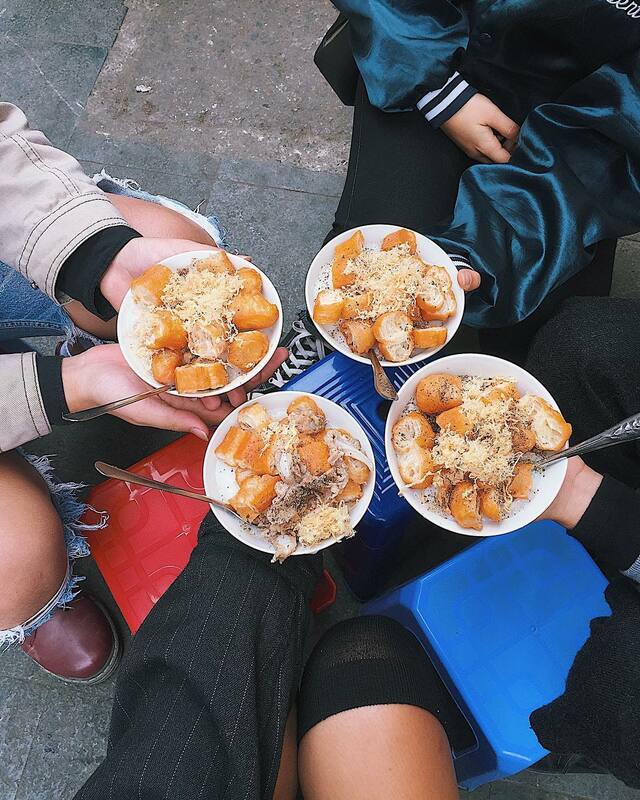 Even in the early mornings, long queues form of people wanting to buy these sticky rice delicacies. The soft sticky rice of Xoi xeo Mrs. May, featuring the buttery taste of milled green bean and crispy fried onions; an impressive harmony of flavor. Established in 1994, Ms. Tuyet has nearly 30 years of selling sticky rice on Cu Loc street. In order to stay true to the classic recipe and taste of the Tuong Mai village, all cooking steps of Xoi are prepared by Tuyet and her family. The rice and green beans are purchased from trusted sellers to ensure quality. The fried onions are cooked fresh and only in necessary quantities to maintain the aroma and crispiness. Over the years, the consistency and quality of the food has solidified her location on Hanoi’s map of street food. The hot Banh duc is a local favorite in the late afternoons, because its flavor is unique but not filling. For the last 22 years, this stall has always been full of customers – despite its simple appearance and location on a small street. Banh duc’s Minh Khai is a bowl full of thick glutinous mass, served with minced pork, wood ear mushrooms, herbs and topped with fried shallots, all dipped in fish sauce. Compared to others selling the same dish, Minh Khai’s uses a thicker type of powder to give a characteristic texture to his dish. In addition to Banh duc, the stall also sells hot black bean tea to accompany the sticky rice cakes. 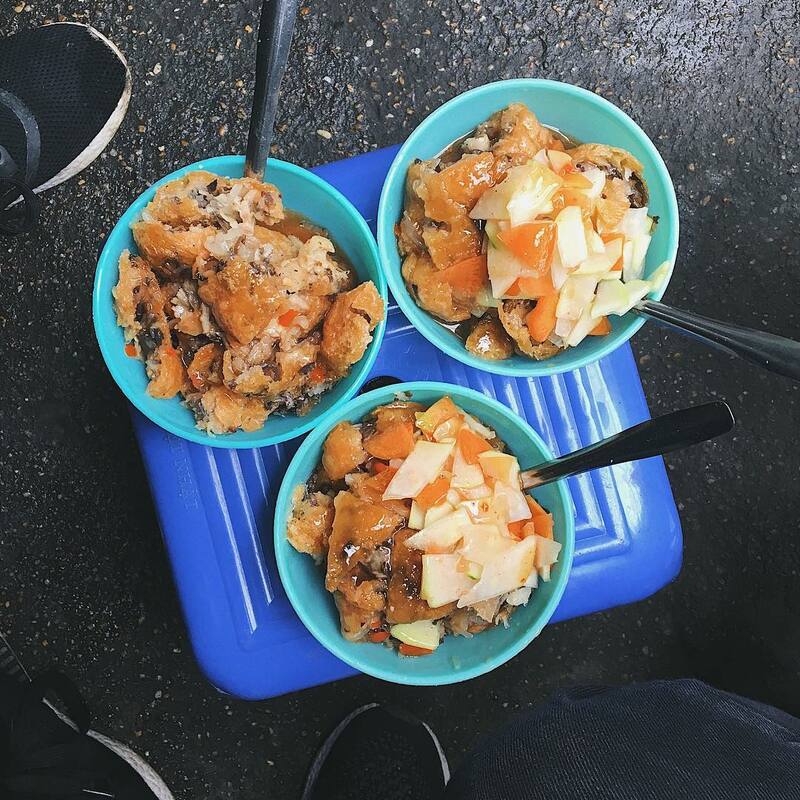 Located in the C2 dormitory for over 20 years, this Banh duc stall is the highlight of Trung Tu cuisine. The sauce is the biggest contrast from others’: its naturally sweet taste doesn’t come from sugar or monosodium glutamate, but instead comes from bones stewed for several hours. The bowl is quite full of stirred meat, usually served with deep-fried onions or fried tofu. The stall is open every day of the week, from 2 PM to 6-7 PM. To try true Banh gio without the sauce or grilled meat, make your way to Banh gio of Mrs. Hao on Dong Cac street near the large electronics store. 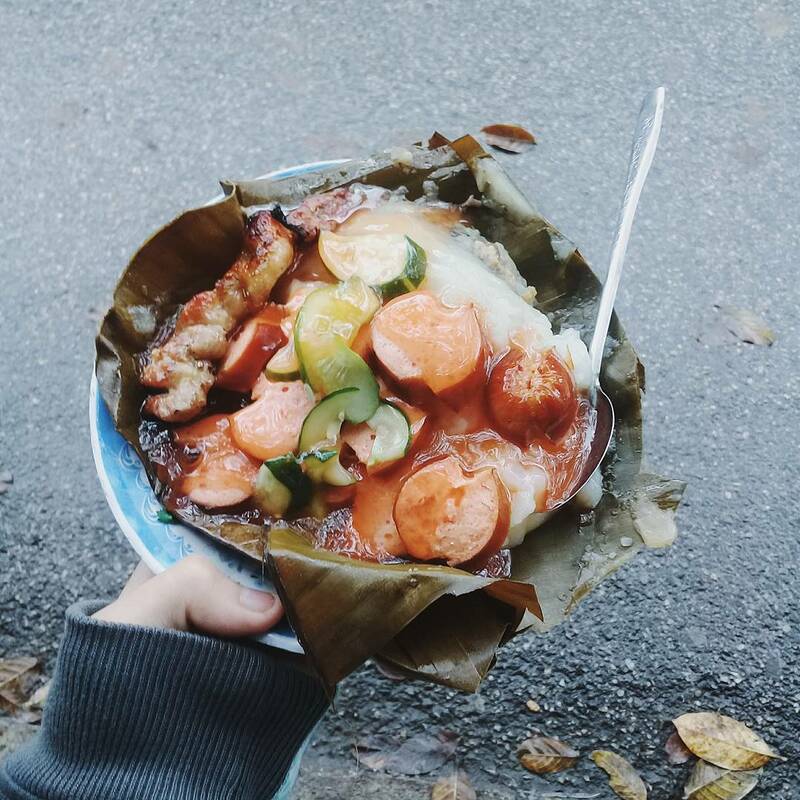 Wrapped in a banana leaf, the Banh gio of this small stand is only served with a homemade pork sausage made by Mrs. Hao. The stir-fry mixture inside consists of minced pork and mushrooms seasoned with salt, sugar, special sauce, and black pepper, and is all encased in a perfect flour wrapper that is not too thick or fragile. Through the banana leaf, it is far from unwanted fattiness that comes from cooking oil. Even when the dish gets cold, it rarely discomfort people’s taste. Banh gio Thuy Khue features the same soft, smooth crust of the dish you’d find elsewhere but makes itself unique with a thicker crust. There is a general formula for Banh gio in the capital and the differences must be constructed in the details. At first sight, Banh gio Thuy Khue stands out with the subtle wrapper. All their green banana leaves are chosen, rinsed and dried carefully before curved into the traditional pyramid shape. It must be skillfully wrapped to prevent from being too viscous in the event of overcooking. With a simple cut, you can see the filling and taste the warm, well seasoned minced pork inside. This stall frequently challenges the patience of the customer with its long queues. Noodles, sauce, and grilled pork are all served in their own dishware dishes separate from each other. The sauce is not overpowering, and complements the charred grilled pork deliciously. 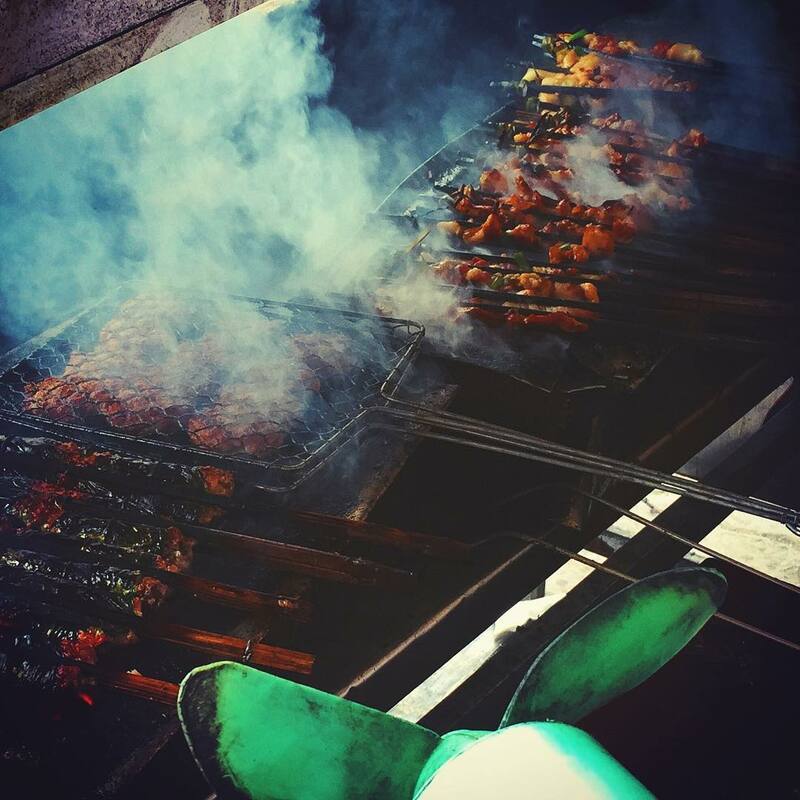 Tip: Get there before 3PM or there will be nothing left – not even a small stick of grilled pork. The Luong Ngoc Quyen snail rice noodles of Mrs. Giang feature some of the most famous noodles stalls in the capital. During peak hours, Hanoians have to patiently wait in the crowd. The dish features the traditional vermicelli of Hanoi, with snails, tomatoes, green onions and an aromatic soup. Bun oc Luong Ngoc Quyen then has two types of variants: The hot snail rice noodles and the cold snail rice noodles. For the hot Bun oc, the stall also offers crunchy pork tenderloin with lean ribs. 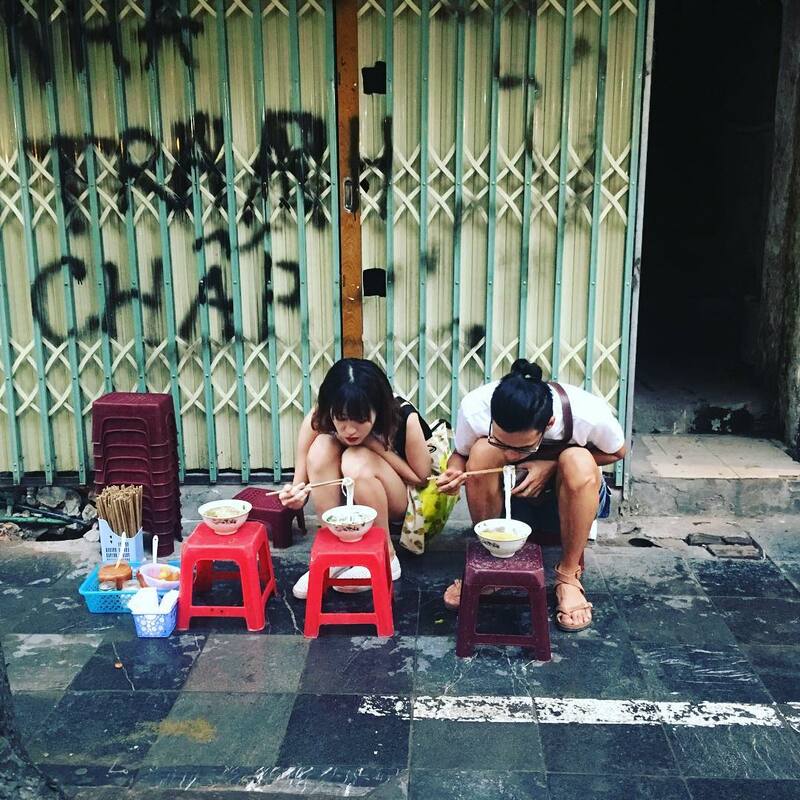 Located at the intersection of Hang Bong and Hang Trong, this small stall has no storefront, signboards, or tables – simply a dozen chairs for the guests and their food. Its vendor has only one pot of broth, two baskets of meat, and rice noodles. 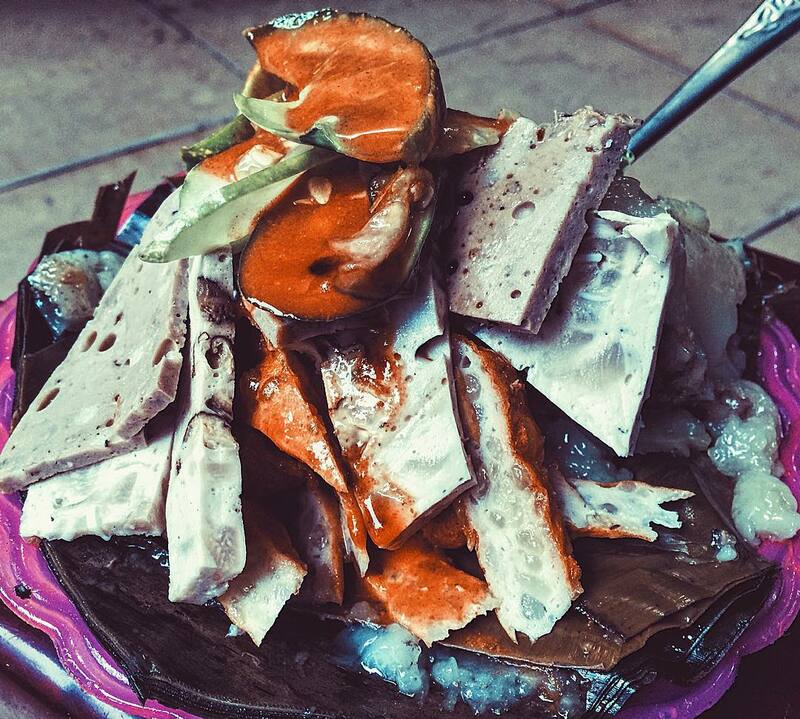 Is it too humble to offer visitors a overwhelming food experience? Inspitrip insiders would say “no”. Pho of Hang Trong street is well-known with delicious culinary mix: the delicate broth warms soft noodles and sliced beef, and is accompanied by fragrant herbs and scallions. Although located in a small lane near the intersection of Lac Long Quan and Duong Buoi, this stall attracts many visitors each day. To eat the famous Bahn ran, people hold on to their receipts for 30-40 minutes as they wait for their food to be cooked fresh. A single batch of fried cakes must be dipped and cooked with different levels of heat 4 to 5 times before it’s ready. Surprisingly, the cake is still low in fat while maintaining its crispiness even after a long ride home. The dish is served with vegetables and pickles, and is sprinkled with sweet and sour sauce. The sauce isn’t served individually like others’ stall. Sold at the intersection of Ly Quoc Su and Hang Bong, the rib rice porridge and clam rice porridge of Mrs. La are stewed with bones for several hours to create a thick but smooth texture. 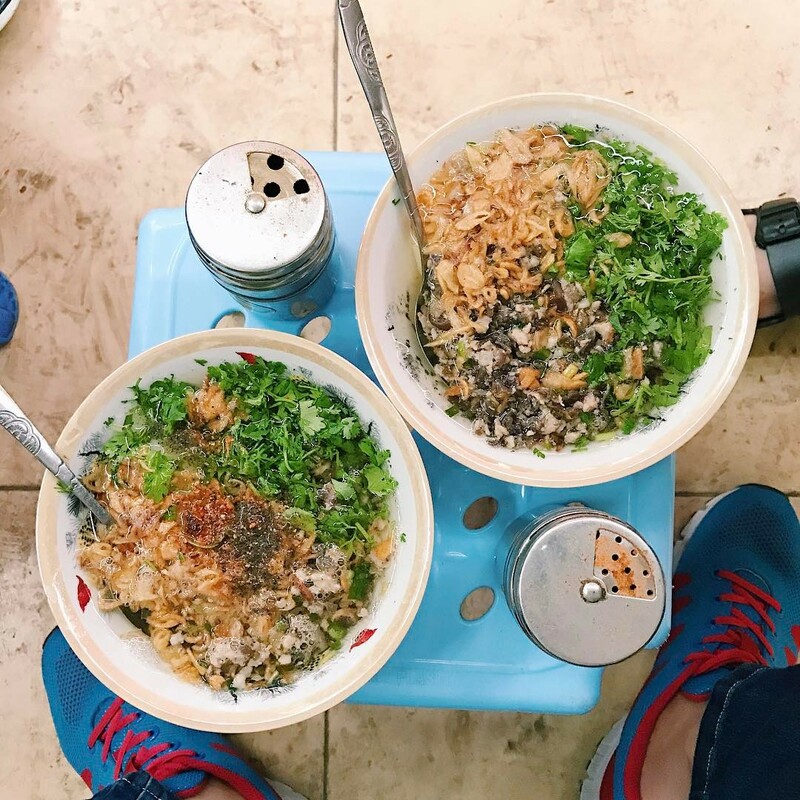 Each porridge bowl is accompanied by fried meat, fluffy pemmican and cartilage to easily fulfill the food cravings in the cold days of Hanoi. 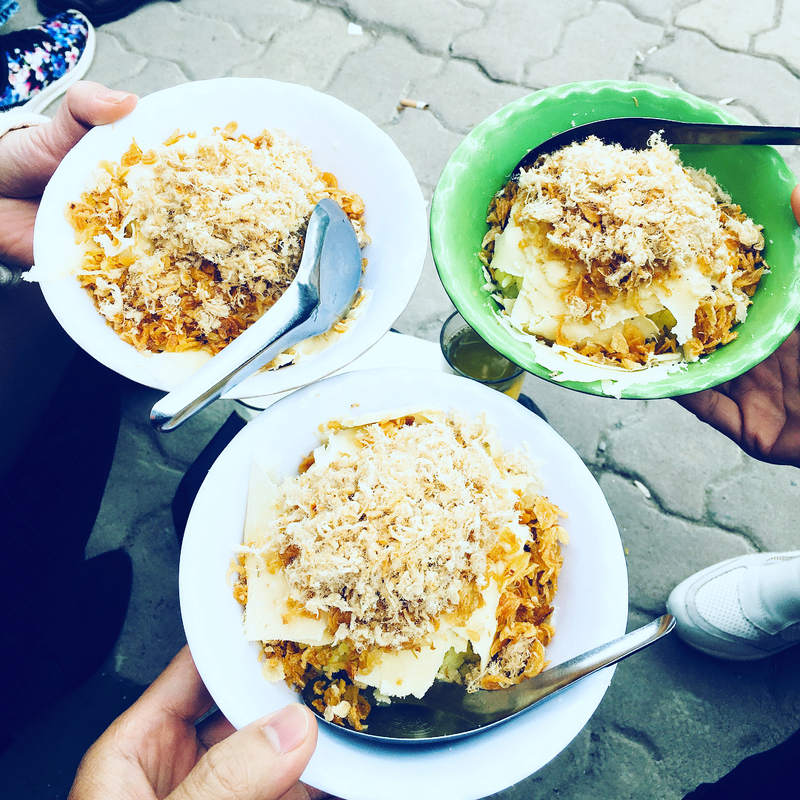 One can say Hanoi street food takes time: A delicious dish requires time to located the best places and sometimes an even longer wait to order and receive the food. Local Insider would say Hanoi street food has withstood the test of time: The dishes you enjoy today are the same as the ones enjoyed in the 80s and 90. They’re the soul of the Vietnamese culinary capital; furthermore, these dishes still warm many generation of Hanoians with taste, flavor… Don’t you think it’s worth the patience? Don’t you think it’s time to discover this city like a local? Learn more about Hanoi cuisine through 10 hidden specialities of Hanoi.